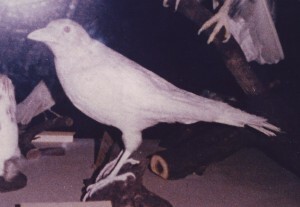 Actual mounted white crow from the Museum of Natural History, Chicago. This design was created with a deep personal meaning; in fact, it was such a powerful story in my life that it changed my life. The best place to start the story is with the words, “RETURN TO NATURE “. When just a teenager, I learned that my two aunts that everyone thought were crazy, were really health pioneers in Milwaukee, Wisconsin, and in the late 1940’s had one of the first Health Food stores which promoted whole wheat bread. Imagine a time when the buzz had been de-natured white flower as the leading grain for bread. Well, when I became vegetarian and discovered that my two great Aunts were not crazy and they were in fact awesome, healthy, vitamin selling pioneers, I had to get to know them. After calling them one day, they invited me to their house and that started a transition for me that changed my life even further. I spent many weekends with them and one day while looking though some stacks of books in their basement, I noticed on the lower shelf, an old 1898 edition of Adolf Just’s classic called “Return To Nature, Paradise Regained and the care of the body using water, light, air, earth, food, and fruit culture”. This book brought me to a profound state of consciousness, next thing you know I was sleeping in the yard on the bare earth and using clay compresses and such. My connection with the earth was strong and it became clear to me that all of humankind needed to Return To Nature! Alas, my vision of helping humankind became my mission in life. Someday I would like to have this book reprinted with the hope that it could influence the world as it has me. In those years, my connection with the earth grew by spending as much time in the forest as possible. Eating wild plants in salads became the greater part of my diet. The tramp with the golden head, lion’s tooth or mostly known as the Dandelion, became my staple for years. I ate them profusely, in fact my joke was that at least one leg and two arms were made out of Dandelions, because I ate so many. Dandelions gave me nutrients and medicine to heal my body, and to this day, outside of watermelon, it’s my favorite green food. Dandelions also grow everywhere and you can find them easily. Dandelions are a nutrient dense food and contain amazing healing and cleansing properties. Dandelion roots grow deep into the earth to gain this. Signifying our unbreakable connection to our mother earth for food, healing and goddess energy, hence the long root on the logo. When I was 13, I sat on the shore of lake Michigan one day, and to my surprise I had a vision so clear, I thought every one could see it. The sky parted and out of the light, a white medicine crow appeared and told me a story of myself in this embodiment, and some unique lessons that I should teach as I grew older. Mostly about our plant sisters and the nature spirits. And so the white crow stands on the dandelion, grasping the flower stems with its talons and picking one of the flowers and holding it in its beak. This signifies the gifts that mother earth has shared with me, and my desire to reach out and offer this with everyone. 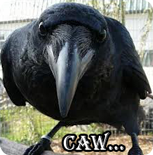 The white crow is my spirit totem guide. The crow standing strong offers the flower of life to all who I’ve taught, and will continue to teach. Teaching wild edible classes is a passion of mine. Of course, the most important of all is the star above the head, a reminder that the connection with the spirit of the creator should always be foremost in our life. The light illumines and sustains us always, and it’s our job to remember where we come from. On the top is the heading for my company called WHITE CROW BOTANICALS. I keep this logo and its meaning in my personal and business core value’s. And so it is. Yo!